The Equal Rights Amendment, Why Now? 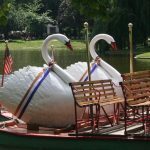 The Swan Boats in the Boston Public Garden have been the setting for The Women’s Suffrage Celebration Coalition program for Women’s Equality Day, August 26 for the past several years. The giant swans wear replica “Votes for Women” sashes, as do many of the speakers and attendees. In honor of Women’s Equality Day, the Zakim Bridge will shine purple, white and gold the night of August 26, 2017. Thank you to the Massachusetts Department of Transportation! 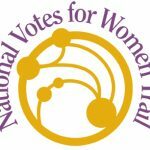 Women’s Suffrage Celebration Coalition of Massachusetts, Inc.